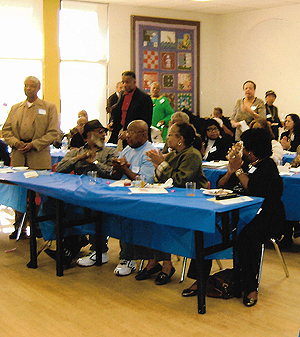 The Quinn Research Center is a resource for people who desire accurate historical information about African Americans in the Santa Monica/Venice Bay Area, from the early 1900’s to the present. We also present programs and events that increase knowledge about contributions made by members of the community, past and present. We also provide presentations for small or large groups on topics of the history and/or culture. If you are interested in getting involved with the Quinn Research Center, Visit our contact page or click “Get Involved” in the menu above.